In the field of Neuroscience recently, there is good news and bad news. 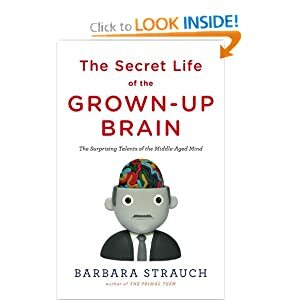 The good news, according to Barbara Strauch, ( author of The Secret Life of the Grown Up Brain, and the health/medical science editor for The New York Times ) is that at middle age we have the BEST brains of our entire lives. The bad news is that our lifestyle choices are robbing us of it. Barbara Strauch recently spoke at Stanford University about how changes to the middle aged brain make it the best brain of our entire lives. This may sound counter-intuitive to those of us who can't remember where they put their keys or what they were going to do in the first place. Yes, levels of neurotransmitters are lower and short term memory starts to have problems. However, in cognitive tests, 40-60 year old people did better than their 20 something year old counterparts on the most important functions. In the areas of inductive reasoning and problem solving, social expertise and financial judgments, the middle age brain does much better. In those at middle age, experience has shaped their brains to be better at sizing up situations, people, and making better decisions. Experience counts and most especially in these areas. Now for the bad news. For most people in America, our lifestyle choices are robbing us of the best brain of our lives. The American diet has created a nation of overweight people. Over one quarter of the US population can be considered obese according to the CDC. Obesity has recently been linked with brain shrinkage and Dementia. Other recent news indicates that 1 in 10 people suffer from Diabetes in America and that number is predicted to be 1 in 3 by the year 2050. Hypoglycemia has been associated with losses of declarative memory (places people and things), and insulin resistance has been associated with Alzheimer's. Our sedentary lifestyle and lack of exercise has been implicated in both increased diabetes and decreased brain function. According to brain scientist John Medina, exercise increases brain function and learning in every way we know how to measure it. Exercise not only increases blood flow and oxygen to the brain, but it has been shown to work as well as SSRI's (Prozac ect.) for depression. Finally, our stress levels and inability to deal with stress are a major factor in brain degeneration. Stress levels are at all time highs in the US and have been associated with decreased learning along with hippocampal volume (the part of brain responsible for learning). Our Sympathetic Nervous System, or our "fight or flight" system, is designed to quickly aid us in fighting, or fleeing from,a perceived threat (real or otherwise) and then shut down to allow the Parasympathetic system to digest food and heal the body. Our Sympathetic System reacts the same to a deadline at work as it does to a tiger trying to eat us. The problem is that the former situation is much more common, and in today's society these constants stresses keep our Sympathetic System ON constantly. This not only doesn't give the body time to rest and repair itself but degenerates the body as well as the brain. So what do we do to claim the full promise of our middle aged brains? Eat a healthy diet to maintain a healthy body weight and decrease your chances of diabetes. A good general diet with foods low on the glycemic index along with portion control will accomplish both of these tasks. Get out and exercise. As little as 30 minutes a day is enough to claim most of the benefits to brain and body. Running, walking and other various exercises (without weights) are all you need. Control your stress. Breathing and mindfulness exercises work great for this. As little as 10-20 minutes a day to start is fine. Taking these simple little steps can make the difference between a healthy middle aged brain and standing in your living room trying to remember what you came in there for. Gary this is a great blog. Well written my friend! The information was just enough and presented in a way that us lay people can understand. 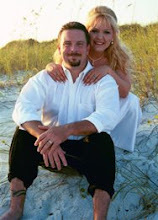 I also appreciate the links to other sites so you can find out additional information. Your passion for your field is obvious.